Gionee , a smartphone manufacture had recently launched bunch of Android Smartphones in the Indian market . 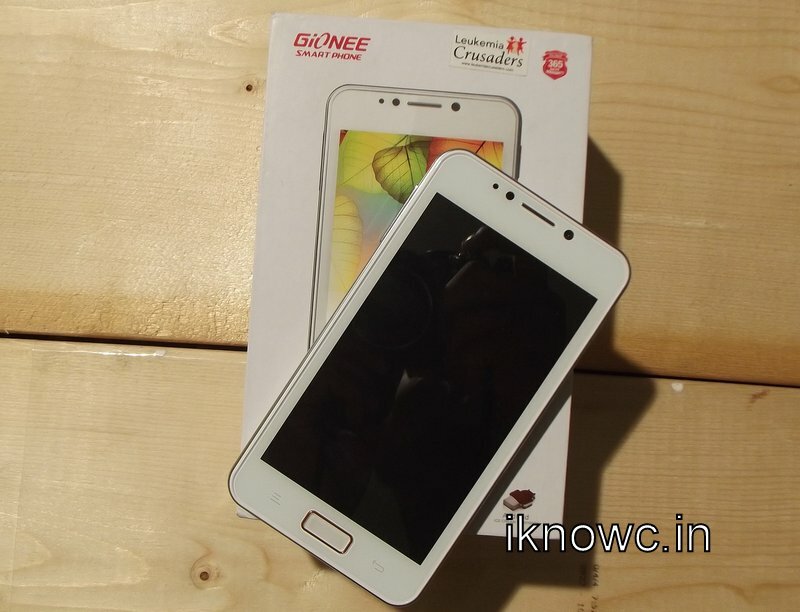 Today we are Unboxing & reviewing there Dual core Device – GIONEE G1 GPAD . Gionee G1 Gpad runs on Android 4.0 ICS os . Gionee G1 Gpad draws it strength from 1GHZ Dual core CPU (ARMv7) & PowerVR SGX 531 (GPU) .Gpad has 5inch capacitive display having 800 x 480 pixel resolution . G1 GPAD has 512MB RAM & 4GB ROM . There are many cool thins in Gionee G1 Gpad that makes it much special as compare to other Dual core handsets in the Market . Gionee G 1 Gpad is a static competitor for Micromax A110 , xolo B700 , Micromax A91 and other dual core smartphones priced under Rs 10000 . The first thing you notices when you get the device is , its Built quality . Gionee G 1 Gpad has nice & robust built Quality . Gionee G-pad G-1 had 5inch display and below the display there are three buttons ( two touch sensitive & one hardware button ) . 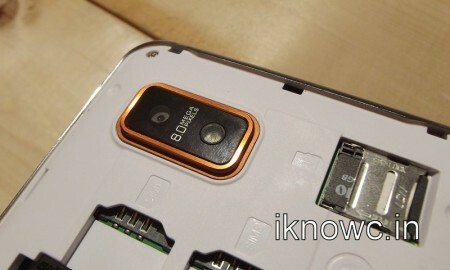 At the rear the rear of the device there is 8MP camera along with single LED flash & loudspeaker below that . The device looks like Samsung Galaxy note 2 specially because of its back cover . Rubberized back panel makes the device easy to hold in the hand . Gionee GPAD G1 looks like a premium handset because of its design & thin body . Gionee G1 GPAD runs on android 4.0 ICS os . Gionee did many customizations to make the device more approachable . AS Gionee added ram booster widget to boost the ram , in browsing they added ‘optimize webpage’ to optimize webpage which would be very useful when surfing on 2G network . The did many things to make Gpad more approachable . You can customize your home screen very easily (to know more kindly see Unboxing & video review ) . Gionee G1 Gpad is powered by 1GHZ dual core Processor paired with 512mb ram . The device has 4GB Rom & Gionee G1 also comes with 8GB free memory card . Gionee G1 Gpad comes with 8MP autofocus camera at the rear with led flash and has 0.3MP camera at front . The device can record as well as can easily play 720p videos at 30FPS without any lag . Gionee G1 Gpad has light sensor , proximity sensor , orientation sensor and Magnetic sensor . The device has 5inch capacitive display having wvga resolution (480 x 800) . The loudspeaker of the device is clear & loud . Gionee G1 Gpad has 2G , 3G , wifi ,Bluetooth , GPS , 3.5mm audio jack & micro usb connectivity . The device has very nice signals strength and it regains signals very fast . 512MB RAM – 233mb free . 4GB ROM – 1.92GB internal storage , 1GB free for installing apps . 32GB expandable memory – 8GB pre installed sd card. 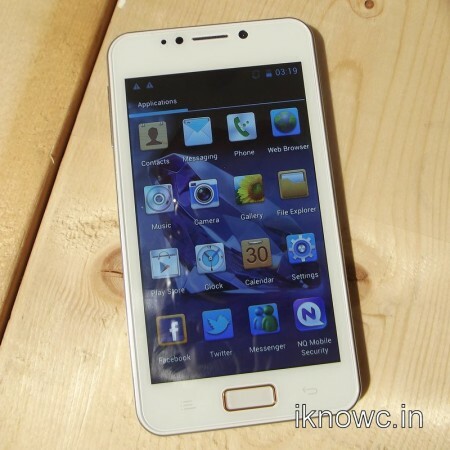 Micromax A110 – Micromax A110 is dual core smartphone having almost same specs that G1 has . 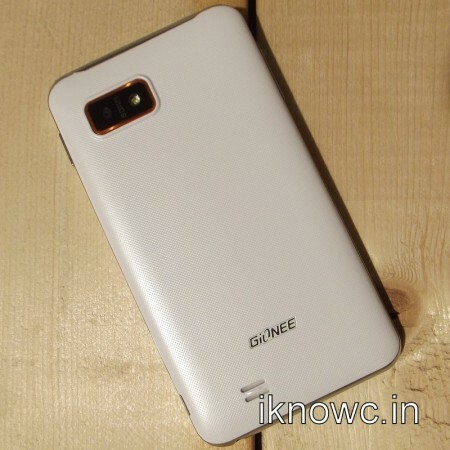 Overall Gionee G1 Gpad is better than Micromax A110 . Micromax A91 NINJA – Micromax A91 ninja is newly launched Dual core smartphone from Micromax . Xolo B700– Xolo B700 is dual cor smartphone from xolo having 3450mAH battery. Celkon A119 – Celkon A119 has 5inch 720p resolution display & has 1GB ram . Overall Celkon A119 has better has better specs than all above phones. UMI X1s – UMI X1s is budget quad core smartphone .